4. Credit Card: Payment is by credit card only, if you do not have a credit card, or would rather not use your own, a Visa gift card can be loaded and used for payment. Rep Fees will be paid online this season. PLEASE NOTE, YOUR CHILD'S REGISTRATION CANNOT BE COMPLETED AND APPROVED UNTIL ALL ITEMS ARE COMPLETE. Remember, if your child wishes to play House League only, you may proceed to register in any Centre, as there are no longer any residency restrictions for House League players. However, if at anytime your son or daughter wishes to play Rep and you do not reside in the boundaries of Orangeville, you must return to your home centre to play. All new Jr Paperweight and Paperweights (2013-2016) all receive a FREE stick with registration! If you are a Brand New Player registered in the Jr. Paperweight, Paperweight, or Northmen Girls Divisions who have fully registered and paid in full, you are eligible for your FREE STICK!!! Our 1st Free Stick Pick Up Day will be at the Try-It Day on Sat. Feb 9th, 3:30pm-5pm at ODSS. The 2nd Free Stick Pick Up Day will be at the Try-It Day on Wed. March 13th, 6:30pm-8pm at Tony Rose Arena. All registrations must be paid in full in order to be processed (or they are just sitting in holding). You must be paid in full and processed in order to tryout for Rep Teams. Also, to take advantage of our Early Bird Rates you must be paid in full before the early bird deadline! Select Girls Field U9 - Girls MUST be registered in the House League Program to participate. More info will be posted soon! **NEW ** Ontario Lacrosse Association (OLA) House League Residency Information!!!! Children participating in house league lacrosse are able to register for any lacrosse centre of their choice, regardless of their residency. Therefore, we no longer require releases from neighbouring lacrosse centres if you are registered for house league. *Players registered for Rep or Select teams are still required to request a player release from their home centre if they are not residing within the Orangeville boundaries for lacrosse. Anyone who has already registered online and would like to pay their outstanding fees...Please contact our registrar. **Remember, All Players must be registered before they attend try-outs. What are the ODMLA Benevolent Funds used for? Created to assist Northmen families during financial crisis, the ODMLA Benevolent Fund Monies are earned thru fundraising, such as the Toronto Rock ticket sales in March, and community donations. To apply for assistance, or to make a donation, please contact Kim Bovaird, Secretary, Oranageville Northmen. 1. A $20.00 fee will be charged for NSF cheques. 2. If you opt to withdraw from a program after registration - a $50 cancellation fee applies. 3. Full registration fee is returned due to program failing to be offered. 4. All other refund requests must be submitted to the Executive for review. 5. All families will be issues a receipt. Requesting more copies is subject to a $15.00 fee. 6. All new registrants are required to bring a copy of birth certificate to registration. Field and Box are considered different leagues and each require proof of birth. Mens Field and Womens Field registrations are online only. 7. There is a discount for families registering 3 or more players. The least expensive base program will be free. One free program per family only. 8. Box House League is offered in the following age groups; Jr. Paperweight, Paperweight,Tyke, Novice and Peewee. 10. Box Rep offered for the following age groups; Paperweight, Tyke, Novice, Peewee, Bantam, Midget & Intermediate. 11. Mens Field is Rep Only. 13. Refunds are not immediate but guaranteed by June 30, 2019. 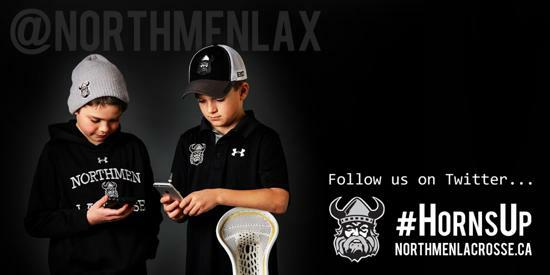 ©2019 Orangeville Northmen Lacrosse / SportsEngine. All Rights Reserved.